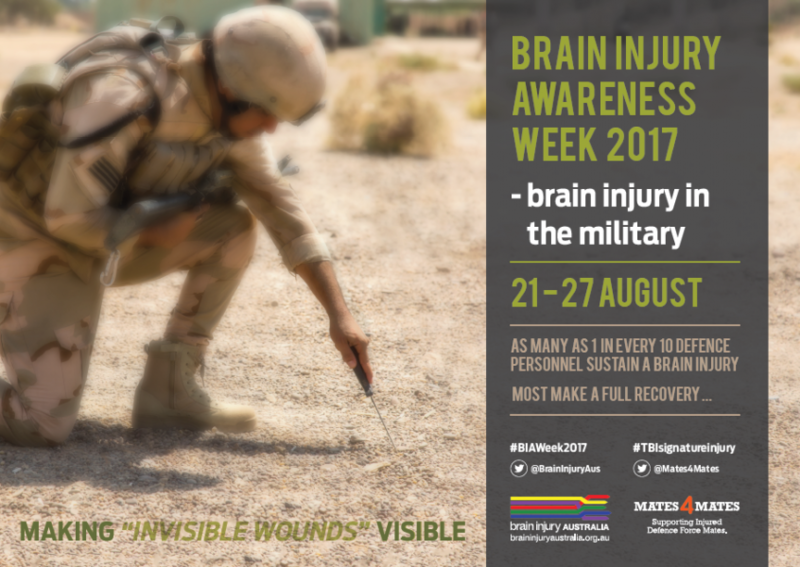 Brain Injury Australia in association with its partner in 2017’s Brain Injury Awareness Week, Ex-Service Organisation Mates4Mates, have created a poster for downloading and printing. The poster features the Week’s unique Twitter hashtags #BIAWeek2017 and #TBIsignatureinjury. Access, and print, the poster here. Brain Injury Australia is grateful for the assistance of Issan Ramma, Senior Graphic Designer with Slater + Gordon Lawyers – Brain Injury Australia’s Premier Partner.